Home / Travel / Travel Tips / What Shots and Vaccinations Do I Need to Travel to Chile? 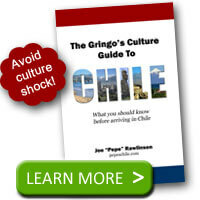 What Shots and Vaccinations Do I Need to Travel to Chile? 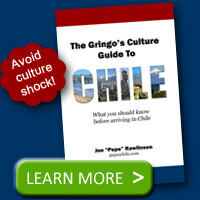 On your next trip to Chile, you may be concerned about what vaccinations or shots you’ll need to travel to Chile. Chilean customs or immigration processing won’t ask for or check that you have any kind of vaccination record. So no, you aren’t required to get any vaccinations to enter the country. However, if you want to prevent some illness, it is best to be prepared. Routine vaccinations are recommended if you are not up-to-date with routine shots such as measles/mumps/rubella (MMR) vaccine, diphtheria/pertussis/tetanus (DPT) vaccine, poliovirus vaccine, etc. Hepatitis A vaccination is recommended for all unvaccinated people traveling to or working in countries with an intermediate or high level of hepatitis A virus infection where exposure might occur through food or water. Cases of travel-related hepatitis A can also occur in travelers to developing countries with “standard” tourist itineraries, accommodations, and food consumption behaviors. Hepatitis B vaccination is recommended for all unvaccinated persons traveling to or working in countries with intermediate to high levels of endemic HBV transmission, especially those who might be exposed to blood or body fluids, have sexual contact with the local population, or be exposed through medical treatment (e.g., for an accident). Typhoid vaccination is recommended for all unvaccinated people traveling to or working in Temperate South America, especially if visiting smaller cities, villages, or rural areas and staying with friends or relatives where exposure might occur through food or water. You should also get your seasonal flu shot including H1N1 before traveling to Chile. Remember that the seasons are reversed from the Northern Hemisphere so your summer vacation may put your right in the middle of flu season. Love your site. I am retired and have spent the last 6 years (Nov. to May) in Santiago Chile. There is one thing I miss terribly here and have not been able to find. Maybe someone knows where you can buy a nice, old cheddar cheese?